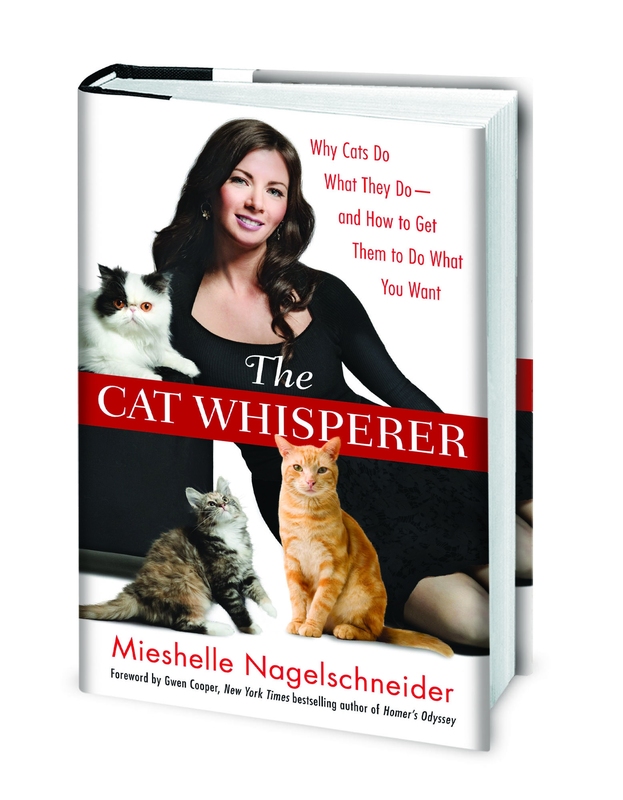 Mieshelle Nagelschneider, The Cat Whisperer -- is a cat behaviorist, animal welfarist, and author of the science-based and scholarly cited cat behavior book, The Cat Whisperer (hardcover, Random House Publishing) along with co-author Cameron Powell. Her passion and curiosity about cats along with her study in animal behavior, continues to put her at the forefront of cat behavior knowledge. Studying cat behavior for over two decades with her most recent study of animal cognition at Harvard University, has enabled her to offer cat owners what they haven’t been able to find — behavior advice that isn’t obsolete, cookie cutter, or reinvents the wheel. Mieshelle has guest starred as The Cat Whisperer on Animal Planet, Nat Geo Wild, NBC Dateline, MTV, Hallmark Channel, The Today Show, and recently finished filming a cat behavior documentary for National Geographic. She was the International Cat Behavior Expert for Whiskas and Arm & Hammer traveling the globe with the mission to elevate the status of the cat along with the Animal Welfare League. Nationally and internationally, Mieshelle is a frequent contributor and guest on T.V., radio, and publications, including Animal Planet, National Geographic, Fox, USA Today, Real Simple, Yahoo, The Circle, The Sunrise Show, Martha Stewart Living Radio, Zoo Peeps, This Wildlife, New York Post, The Boston Globe. Modern Cat Magazine, Cat Fancy Magazine, Salon.com, New Republic, Feline Wellness, Petside.com, Cat Channel, The Daily Cat, and Pets Magazine.